The South Coast of NSW is a region of amazing scenery, relaxation, food, wine and recreational activities that are fitting to people of all ages. Enjoy a few days down in Kiama with family, friends and loved ones, going on long walks along beaches such as Surf Beach and Jones Beach, kayaking at the Minnamurra River and unwinding at great restaurants and cellars in the region. There’s so much to see and do in this popular coastal destination so get your Kiama accommodation sorted out – you’ll have more than a day’s worth of activities available! Head south of Sydney along the scenic Grand Pacific Drive – a spectacular scenic coastal drive that takes you to the South Coast. 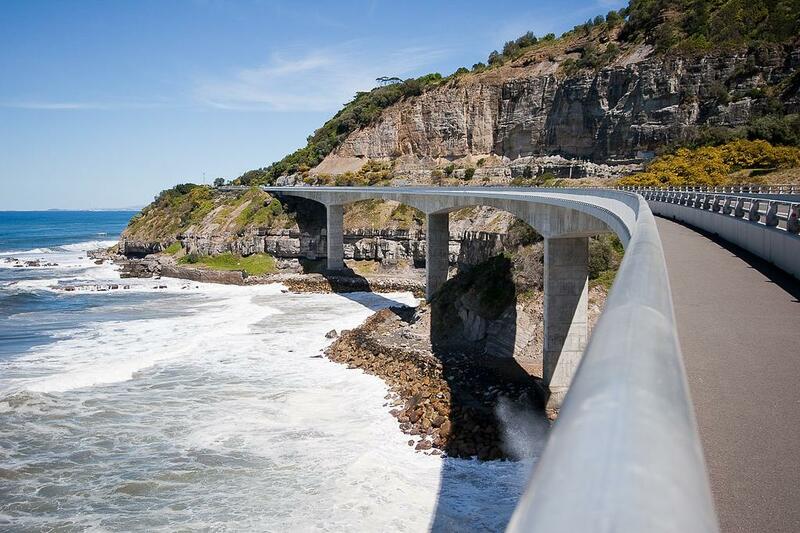 Its highlights include the 655m Sea Cliff Bridge which gives you the chance to watch migrating whales from the viewing platform if you’re lucky! Kayaking on the Minnamurra River is the perfect way to explore these waterways. 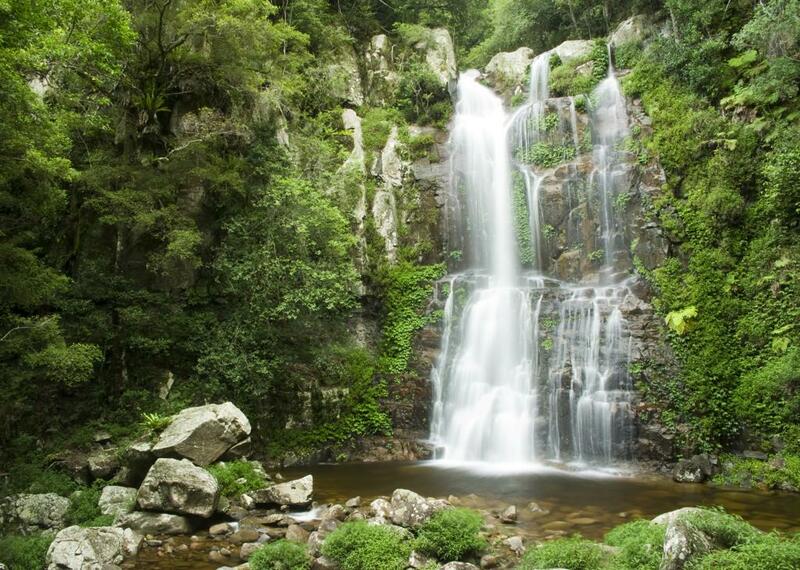 Hop on a South Coast safari and experience the outdoors on a half day tour of the Minnamurra River with a riverside lunch to fuel your expedition. Just looking for relaxation? Head right over to some of the best surfing beaches in the area – Minnamurra Beach aka Mystics,Surf Beach,Jones Beach, Boneyard and Bombo Beach. Surf Beach is the flagship beach of Kiama, and is a popular beach amongst families due to its sheltered area, parkland and playground for the kids. 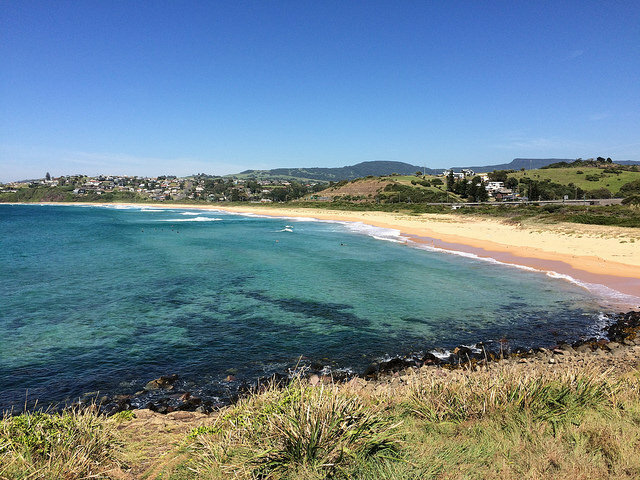 Kiama’s beaches and its surrounds make a great family day trip for people living or visiting in Sydney. This blowhole is the major tourist attraction of Kiama, where travellers visit to watch the blowhole spray water up to heights of 25m. If you can’t get enough of the action, you can also visit a smaller and less popular blowhole called Little Blowhole. 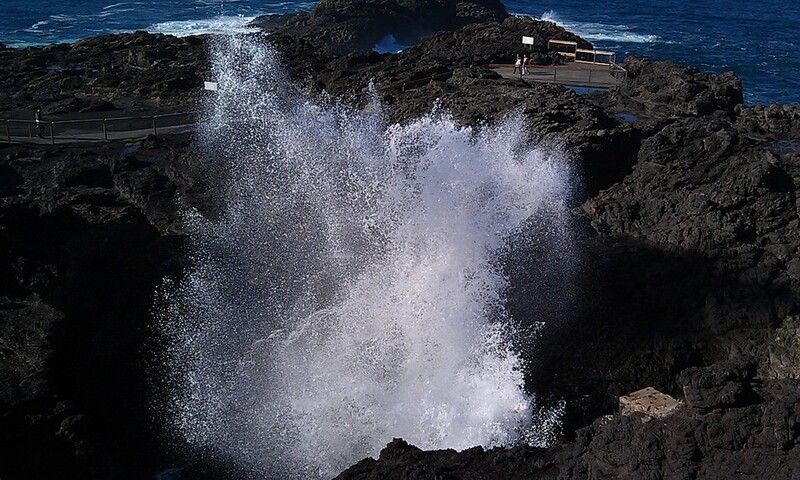 Did you know that the Kiama Blowhole is the largest in the world? 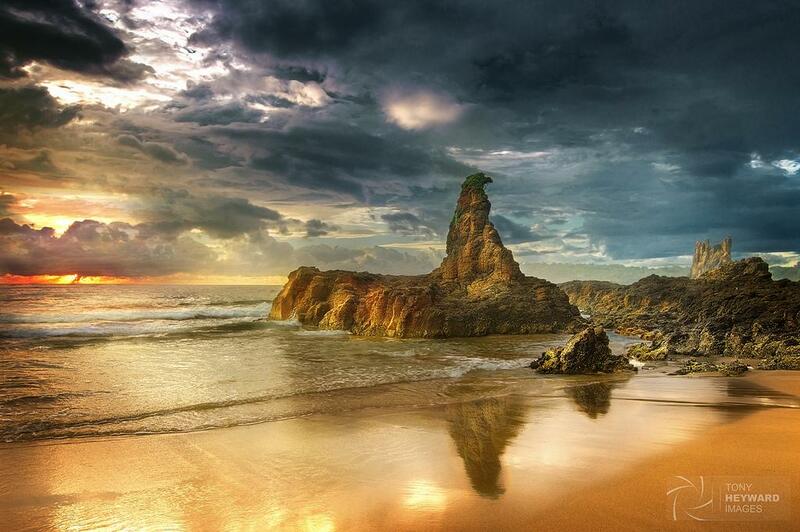 Located at the southern end of Jones Beach is the distinct Cathedral Rocks which are made up of volcanic rocks. These rock formations are best accessed by parking north at the Jones Beach car park and walking south via the beach or grass towards them. Heading there from the other direction is more difficult as it is rocky and dangerous in large swell. Further south of Cathedral Rocks is the Bombo Headland which consists of basalt walls and columns which are remnants of blue metal quarrying in the late 1800s. 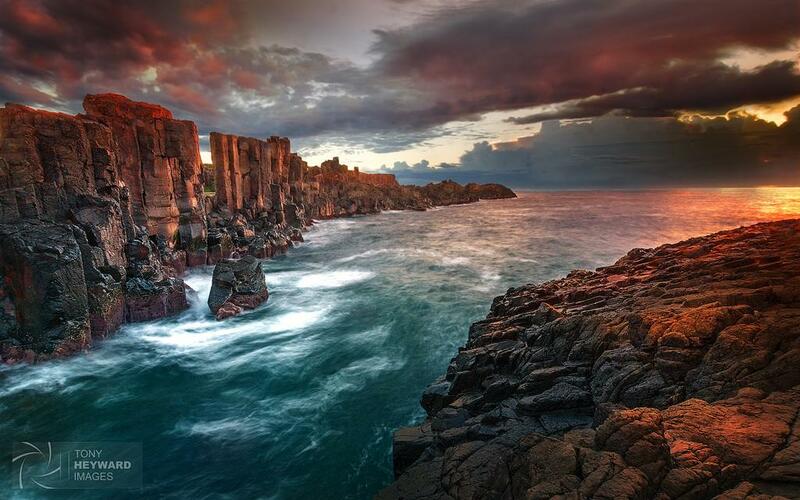 Also known as Bombo Quarry, these clusters of hexagonal basalt columns are quite unusual and provide an experience likened to exploring the Moon. The Saddleback Mountain rises 600m above sea level and provides great views of the Noorinan Mountain, Lake Illawarra, Stockyard Mountain, Knights Hill and plenty more of the South Coast. It’s a great place for watching the sunset! 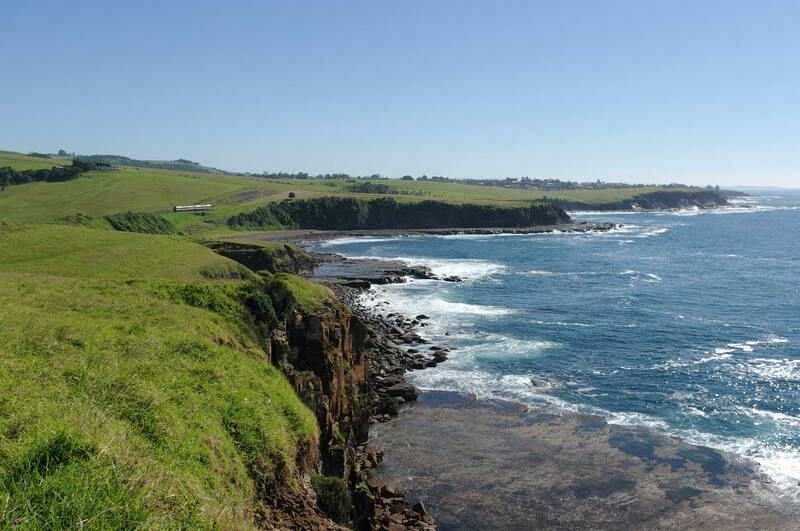 If you’re the type of person that enjoys going on hikes, check out the Kiama Coast Walk which takes you past key places of interest in the Kiama region such as Minnamurra River, Jones Beach, Cathedral Rocks, Bombo Beach, Kiama Harbour, Kiama Lighthouse and the Kiama Blowhole. The entire walk is 22km long. Olivia Bourke is a travel writer who loves exploring the great hidden gems of Australia and wandering around in other countries. She writes for Great Lost and other travel related blogs to learn, inspire and inform others of the beauty of the world. I like this travel blogs, thank you very much to get sharing the beautiful journey of Australian adventures. A complete & great list to do things in Kiama, I really like the thing those have shared in article with beautiful pictures. wonderfull stunning your all pictures and article thanks for sharing… keep it up and thanks a lot………!